When it comes to engagement sessions, I always love it a little bit more (just a little!!) when my couples choose locations that are meaningful to them. 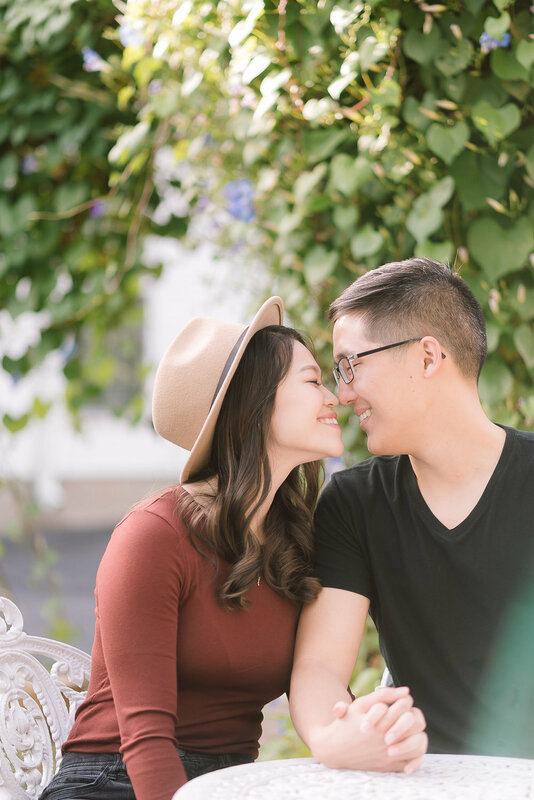 For Judith and Joshua, who grew up together as their families were attending the same church and spent much of their time there, their church means so much to them that they wanted the casual portion of their engagement session there. Even though they've known each other for most of their life, but the thought of being together didn't occur until they spent much of their time together at morning prayer when they were in college. 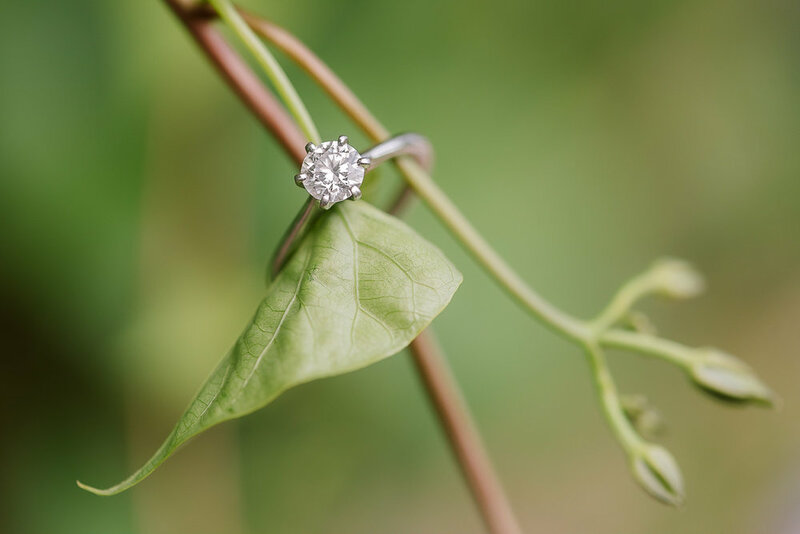 After three years of dating, Joshua decided to put a ring on Judith, and the rest is history! Prior to the session, Judith went out and had her makeup done by SAY Makeup Artist and hair cut and colored by Angela Choi from PR at Partners, and everything was perfect! Their church gardens are regularly maintained by several older ladies of the congregation. 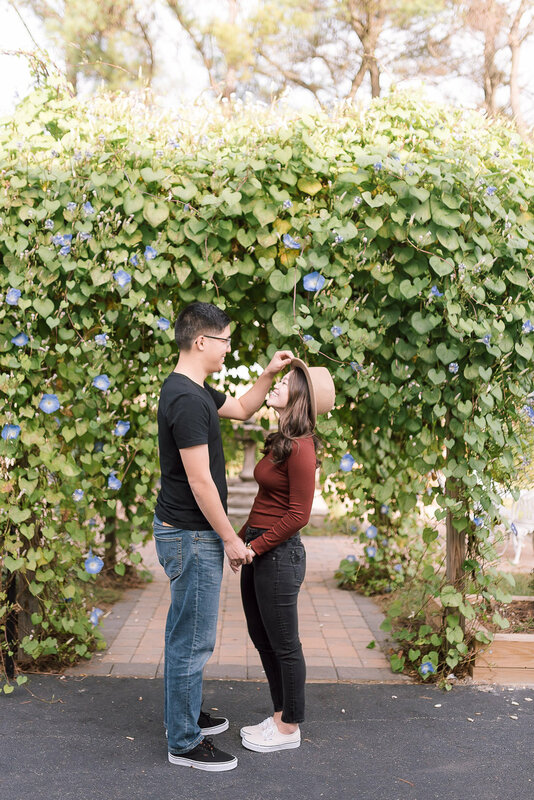 Along of the edge of the church property, they even have wildflowers and tall wheatgrass, making it picture-perfect for a fall engagement session! The space outside their church was aesthetically beautiful just as Judith had described it to me, but even more so because of the stories that she recalled throughout the session. At the small stone fountain in the middle of the garden, she smiled and told me that every kid she grew up with in their church time were swimming in it at some point of their life. It seems like a simple and silly fact, but it is precious memories like this being express outwardly when they are here makes the session unique in itself. Their smiles, laughter, and the way they looked at each other become beautiful moments that they share. For their formal part of their session, we decided to head over to the Howard County Conservancy because of their beautiful rolling hills and tall grass, and we were not disappointed! I loved Judith's dress from BHLDN when pairing with the beautiful bouquet that was put together by Joshua's mom. As they strolled along the beautiful landscape, it looked so ethereal, just like a fairytale in real life! Thank you so much for such a fun-filled and beautiful session, Judith and Joshua! I can't wait to celebrate alongside you guys on your wedding day!